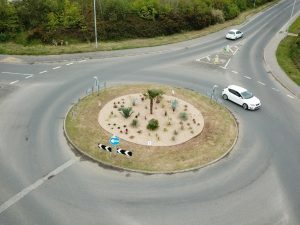 If you’re a frequent traveller of the roads around Helston, you may well have noticed the recent transformation of two of the town’s roundabouts – one where the main A394 from Falmouth joins the Falmouth Road at the start of the bypass, and the other, at the other end of the bypass, by Helston Rugby Club. A combined effort, the improvements to these two roundabouts in Helston are down to the planting efforts of Cormac’s horticultural team and Helston Town Council, with the plants, ALL DONATED by us here at Trevena Cross. Combined, they have already transformed the route around Helston, with many passers-by hugely appreciative of the difference it’s made. 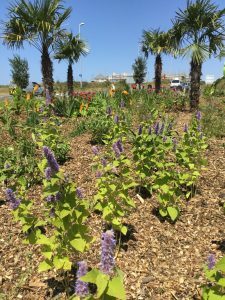 However, a major concern for many locals is the ongoing maintenance of what now looks wonderful…but soon won’t, without due care and attention. 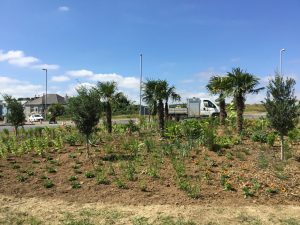 A prerequisite of the generous plant donation made by Trevena Cross was that a proper care and maintenance plan was in place to preserve these plants for the long term on the roundabouts in Helston. 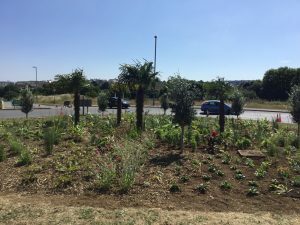 Indeed this plan is already in action, with the committed gardener of Helston Town Council already out on the roundabouts at 7am each morning to quench the thirst of the newly planted before the enduring heat of the day sets in. 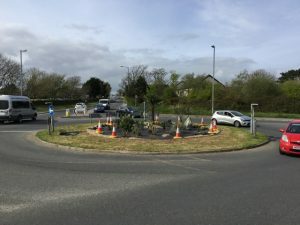 With optimism and support from the local community and everyone who benefits from a pleasant drive around the roads of Helston, it’s certainly possibly to keep the wonderful looking wonderful!.. And we can’t wait to watch the plants settle in and thrive in their new home from home. 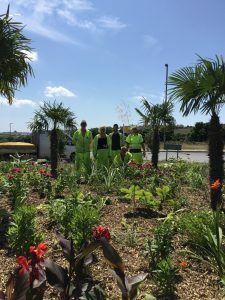 We hope other local businesses may be inspired to help facilitate other improvements to the town, and help keep Helston and the surrounding area a great place for communities to grow and live – and for others to visit!